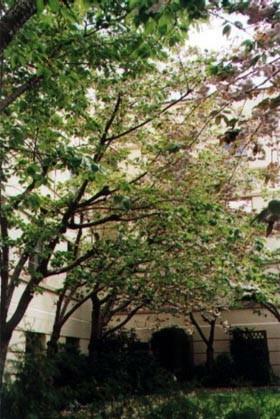 The Ishikawas lived in Suite 4 of the Mauritz Apartments at 1225 W. 11th Street in Vancouver from June, 1977 until the landlady (whom they had never met) showed up at the end of September, 1978 in search of rent, and upon discovering Fumiyo's pregnancy, immediately evicted them, without the legally required notice. Thankfully, Fumiyo's friend Reiko was able to quickly find them an apartment in the West End of Vancouver, Apt. 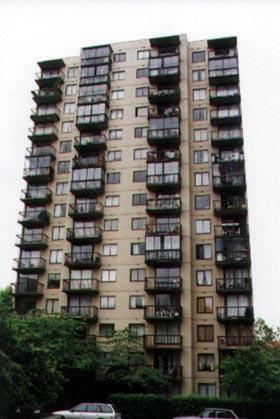 201 of a 15-story building at 1146 Harwood Street, called The Lamplighter. Smaller and more expensive than the Mauritz, it had a pool and a sauna, which were pleasant, but the neighborhood was dreadful. At least children were welcome, rare in Vancouver. 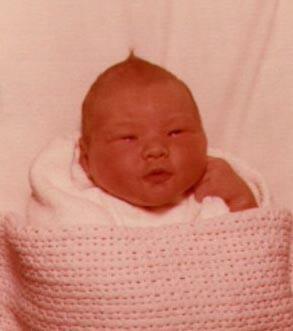 Monique was born on October 25th, 1978 at Grace Hospital. The hospital has since been swallowed up by a Woman's Hospital and a vast hospital complex between 28th and 32nd Streets along Oak Street. This picture was taken by the staff at Grace Hospital before Monique left.